streets of Okinawa will be filled during the coming five days, but the stores will be closed. It is Obon, one of the three primary holidays on the Okinawa calendar. 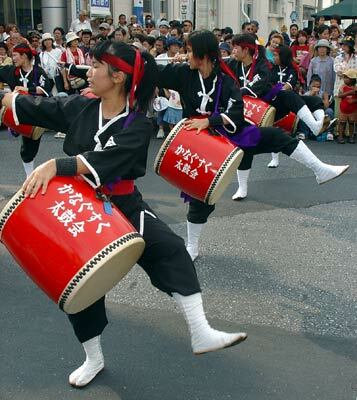 Obon is a time for celebrating life, and welcoming ancestor spirits home for a family reunion. It’s a Buddhist event,where ancestor spirits are believed to return to the human world in order to visit relatives. It is also called the Urabon, the Feast of Lanterns. Traditions are everywhere, and you will see them at every turn during these next days. During the Obon holiday period, which officially ends next Tuesday, Okinawans will visit their family tombs, offer food and prayers, and communicate with the spirits. They will also offer up food at their home altars. As Obon ends, traditionally the lanterns are lit and set onto the waters to guide the spirits back to their world. 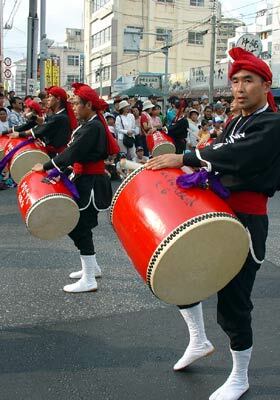 Obon is celebrated at several times during the month, with Okinawa holding its celebrations two weeks behind mainland Japan. 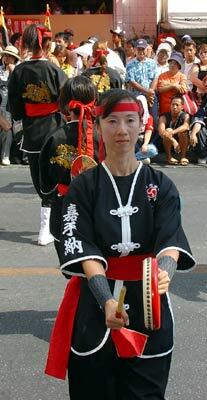 Obon is celebrated from the 13th -15th day of the seventh month of the year, which is July on the lunar calendar. It is commemorated this way on the mainland. Obon, as noted, is a key holiday. Most stores and entertainment activities will be closed during some or all of the days during the holiday festival period. Sunday through Tuesday will be the primary celebration days.